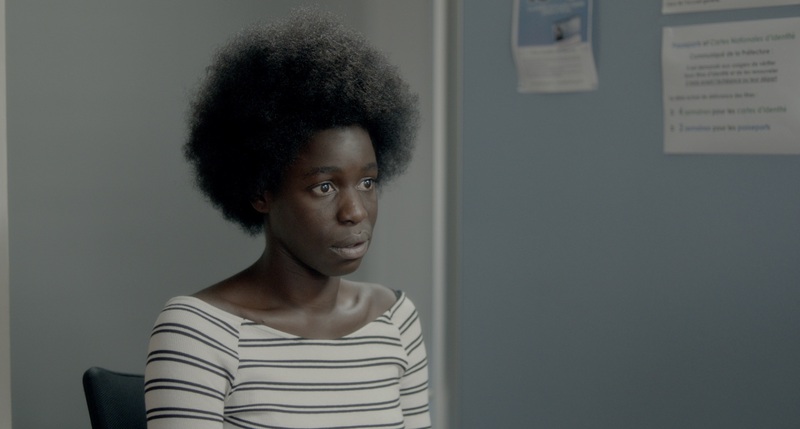 In part inspired by Director Josza Anjembe’s personal experiences of issues faced by ethnic minorities, French (Le Bleu Blanc Rouge de Mon Cheveux) sees France born, seventeen year old Seyna’s attempts to obtain French citizenship frustrated by her Cameroonian father’s anger and the limitations of Gallic bureaucracy. Josza spoke to DN about finding one’s cultural identity, her move into fiction filmmaking and using cinema as a weapon. 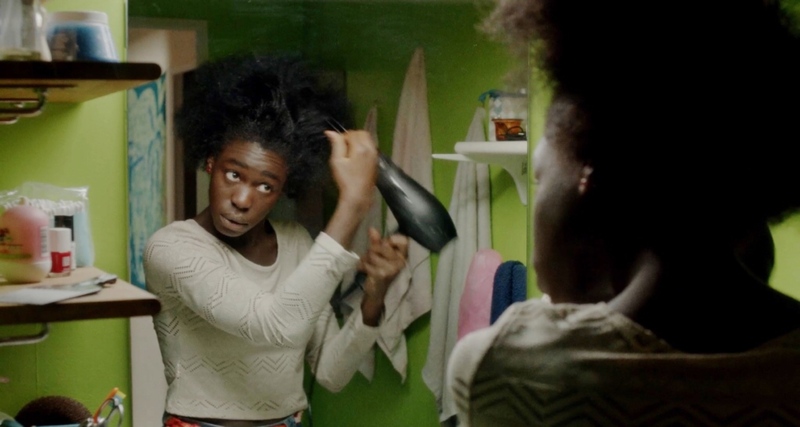 How much of your own struggles with issues of integration is present in Seyna’s story? It is before everything an intimate story. It is common to say that cinema is a reflection of social issues. It is probably what happened with this movie. The only scene I personally lived was the one which shows the administration officer saying to Seyna that she is “out of frame”. It happened to me because my ‘afro’ haircut was going out of the frame. It was a few years ago while I was making my second passport. It made me sad because it meant I was not fitting the criteria of the basic French woman. Why did you feel it was important to open the film with Amidou’s story before introducing us to Seyna and her situation? It’s a very good question. This structure was there since the beginning. I wondered a lot about it. I had to show the pride of this father so we could later understand his violent decision. Do you believe that in order for one to embrace the new culture in which you’ve grown up and feel fully part of, you must reject the culture of the family who came before you, or is there a middle ground to be found with these generational conflicts? The older I get the less I think about it. I won’t give up on anything, whether it’s one culture or another. I often say that Cameroon is my dad and France is my mum. I love both my parents and I couldn’t choose! It is a balance for me. I am convinced that we all should know where we come from and know the history of our parents, the history of our name, of our birth and native countries. I often say that Cameroon is my dad and France is my mum. I love both my parents and I couldn’t choose! It is about knowing where your own personal story lies inside of the common history. We are all children of immigrants. Being French with origins from Cameroon isn’t irreconcilable, on the contrary! It is an asset and a strength! When I see the world, I see it through white European eyes but also with a black, African, Cameroonian point of view. I am like a chameleon! Despite her relative newcomer status Grace Seri’s impressive performance shifts seamlessly between bold defiance and vulnerable uncertainty. What preparation did you undertake to help her fully inhabit the role? Was it hard to convince Grace to shave off all that beautiful hair? No! During the casting, I was asking the applicants if they were afraid of the shaving scene. Grace told me she was excited by it! She was smart and understood fast that she would not be the one cutting her hair, Seyna would be. Then of course, after shooting it was Seyna who lost her hair. I believe this what an actor does: getting muscles, losing or gaining weight, cutting her/his hair… For me the physical transformation is a part of the job. Regarding preparation, we opened ourselves to each other a lot. We were rehearsing but also talking about life a lot. 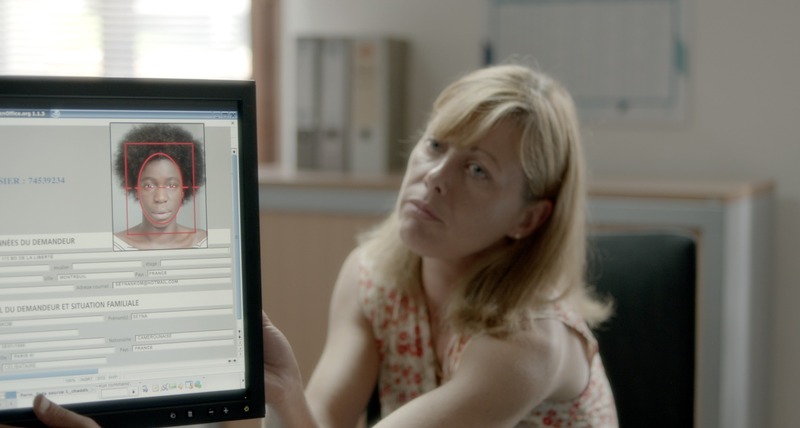 You worked as a journalist and documentarian before embarking on this film. What did you learn moving from the documentary to the fiction realm of filmmaking? I never planned to write fiction movies. I figured out that I need, whether it is for documentary or fiction, to gather a lot of information on my subjects. I also learned before writing fiction that the time and trust people place in you is quite important. Music is also a passion of yours, in fact you composed French’s end credits score. Have you been able to find any more opportunities to flex your musical muscles? Thank you for this question. Music is life. When I was young, I wanted to be Nirvana or the Red Hot Chili Peppers. I played piano for 12 years and my instrument is still at home. I am writing music regarding the people I meet and when I started to think about the movie’s soundtrack it became obvious I would write a part of it. My producer supported me in this choice and it was a great pleasure to record it. You’ve described cinema as a weapon with which to fight minority stereotypes. What subject will you be taking aim at next? Cinema is a weapon, period. For any subject. I want to talk about woman rights but before I need to write and I make research.